I call this color "Pearl". Perfect for a pale skin tone for doll making. Perfect for the most romantic wool felt flowers. Perfect for beautiful applique details. Perfect for when you want a quality wool felt for your special project. Oh my, this is just beautiful. I’m ordering more! Beautiful wool felt. Thank you to the owner Janet for helping me with the color choices. 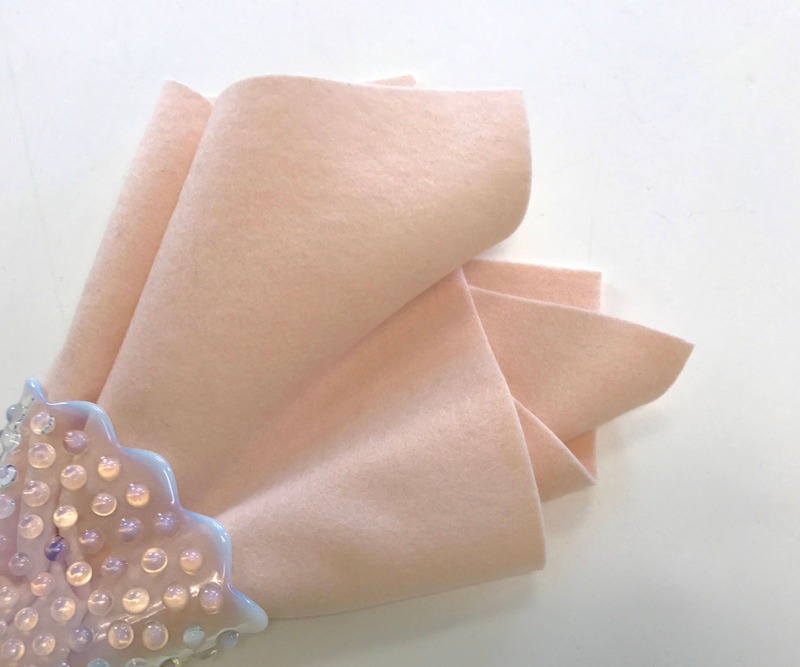 Pearl color is perfect for dolls I am making. Perfect very light shade of pink.